Semaphore signals existed in Queensland from the opening of the first railway line in 1865. These very simple signals had just two arms, one for Up trains and one for Down trains. 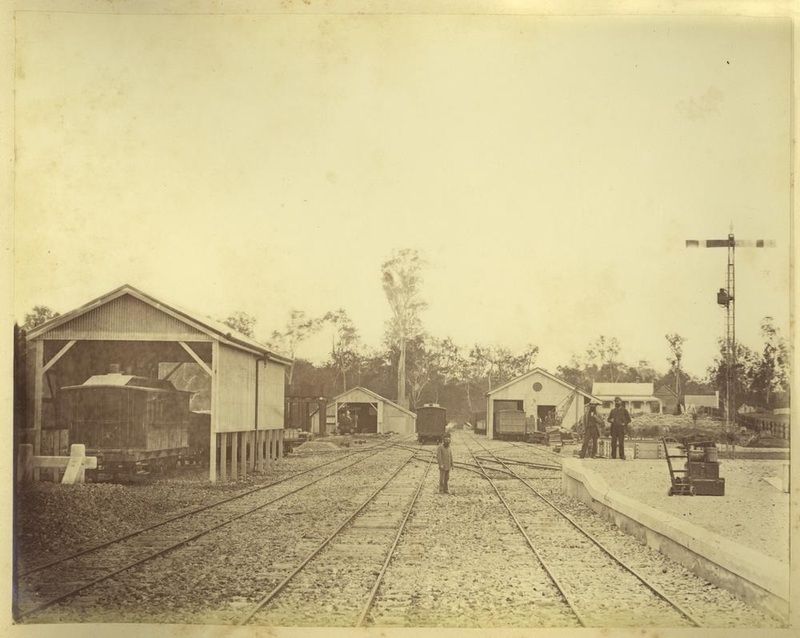 An image in the State Library of Queensland photographic collection showing an example of this signal type at Gympie station in 1882 is shown below. Queensland Railways has used lower quadrant signals throughout its history however upper quadrant automatic or semi-automatic signals existed in the Brisbane Suburban Area for a period until replaced by colour light signals. The most common type of semaphore signal was the two position lower quadrant signal which existed throughout the state with a number still remaining in use today. The typical layout of semaphore signals at an interlocked crossing loop is shown below. Not all stations were interlocked though, in fact the majority were not interlocked and were simply protected by a single semaphore Home signal at each end of the station. Distant signals were initially provided however in later times these were replaced by fixed beacons, which have the same meaning as a semaphore Distant signal permanently fixed at "caution". The diagram below shows a non-interlocked station with either Distant signals for fixed beacons.